AssessMD Mental Health Assessments help Health Systems stay compliant, improve patient care and get reimbursed by testing for depression, anxiety, bipolar, ADHD and other disorders. AssessMD is an electronic reimbursable mental health assessment tool used by a patient on any device—in any location—that allows doctors to instantly identify the likelihood and severity of multiple mental health disorders before seeing the patient. Our proprietary Symptom Level Determination Software (SLDS) is a powerful software engine capable of tabulating scores and making real-time question presentation decisions. 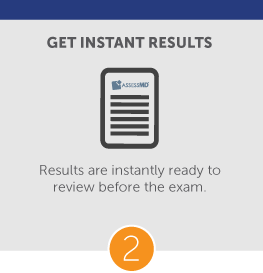 Unlike other testing tools, AssessMD utilizes the SLDS engine to calculate test results in real-time as the patient is completing the assessment. Patients who do not meet specific disorder criteria stop after abbreviated testing, while other patients whose scores warrant further evaluation complete additional questions. Patients meeting the DSM diagnostic criteria based on earlier test responses complete the entire questionnaire. 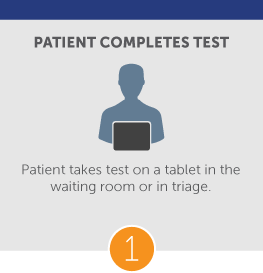 Patients can complete their self-assessments on the tablet in as little as 2 to 4 minutes, with results immediately available for review. Armed with a more a comprehensive view of the patient's symptoms, doctors can quickly and more accurately diagnose the patient and provide an effective treatment plan. AssessMD instantly identifies the likelihood and severity of multiple mental health disorders for both adults and children. AssessMD gives you peace of mind knowing you're staying compliant with Accountable Care Organization (ACO) requirements by meeting the ACO #18 requirement for mental health and mental disorder screening with suicidality metric. According to the CDC, over 65 million doctor/medical center visits are due to mental health disorders. As a healthcare professional, you are undoubtedly witnessing this surge in mental health complaints within your own practice. Addressing such issues has traditionally been costly and time-consuming, and recent legal, regulatory and compliance changes have complicated matters even further. Our comprehensive billable mental health assessments can help you reduce costs, improve patient care and remain compliant with mental health guidelines and regulations. 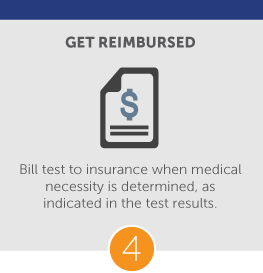 Unlike many traditional assessments, AssessMD is billable to most insurance plans, allowing your health system to get reimbursed for the same work you may already be doing. Or give us a call at 855-316-4111 today.